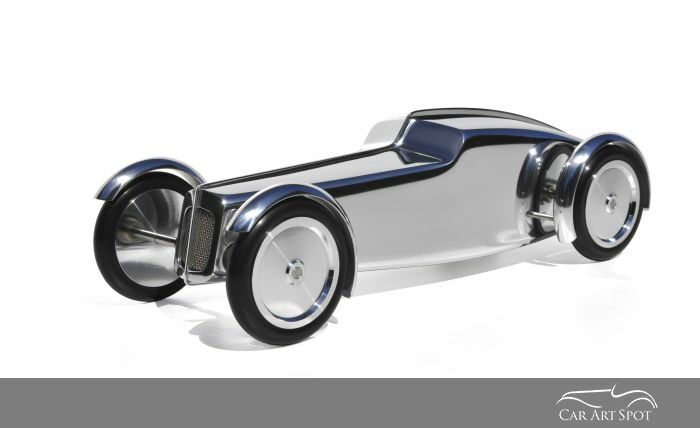 From tuning motorcyles for Le Mans to rebuilding classics such as the Bugatti Atlantic and the Bugatti Royale Esders Roadster, Benoit de Clercq gives CarArtSpot an insight into his Automotive Sculpting world. Today cars are convenient consumer goods to get us from A to B, mainly designed by marketing offices and rapidly becoming banned from large cities for pollution objects. As a young boy, born in the fifties, cars were a constant stirring of admiration symbolizing freedom, adventure, speed, pleasure, oil smells and beautiful body lines. 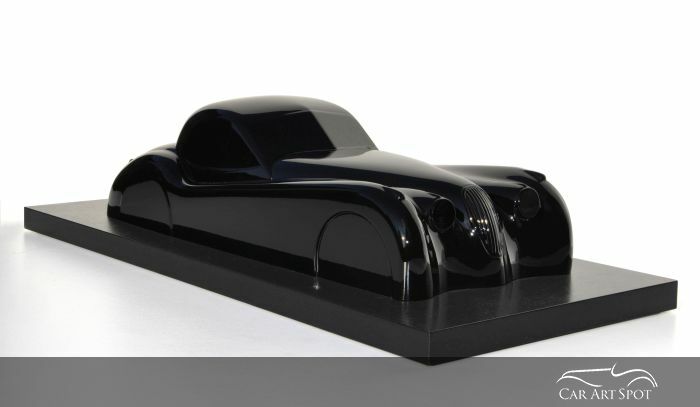 I fell in love with automobiles in my fourth year when I received a small French racing blue Talbot-Lago Grand Prix toy model for a Christmas present and when my father drove me in his new and futuristic DS Citroen. I knew then that cars would be one of my life’s passions. Although my parents offered me the best studies to become a diplomat or such other important person, I chose to become a mechanic. After my studies, I soon opened a motorcyle workshop in an old barn in the country. I tuned motorcyles for racing and reached an international level, building bikes for races such as the 24 hour Bol d’Or race in Le Mans. My racing modifications became more and more technical and drove me to learn the foundry practice, to be able to produce my own engine crankcases. Oneday, I brought my foundry pattern of a technical item to an Italian industrial foundry. It was sculptured in wood as was then the practice. The foundry owner told me “with the care and attention you pay to detail and with such a finish, you should make art sculptures instead of mechanical parts”. I took his advice and to this day, my creations are a mix of art and technology. Although I didn’t study art, I have spent most of my life in Paris surrounded by wonderful monuments and museums and my background also helped mould my passion. My grandmother, who admired Pablo Picasso, helped me to open up my mind to modern art and my mechanic teacher at school had given me the basic knowledge to work on metals, using files and proper tools and many handcraft secrets. My experience has been built upon many years of mutiple trials, success and errors, meeting other artists and foundry men, my curiosity and observations of museums and exhibitions such as Brancusi’s work in Centre Pompidou and reading many books. I in no way wanted to stay confined in one box. Only to be a sculptor, an artist or a mechanic. I admire the 15th and 16th century when a man such as Leonardo da Vinci could be an engineer AND a painter! 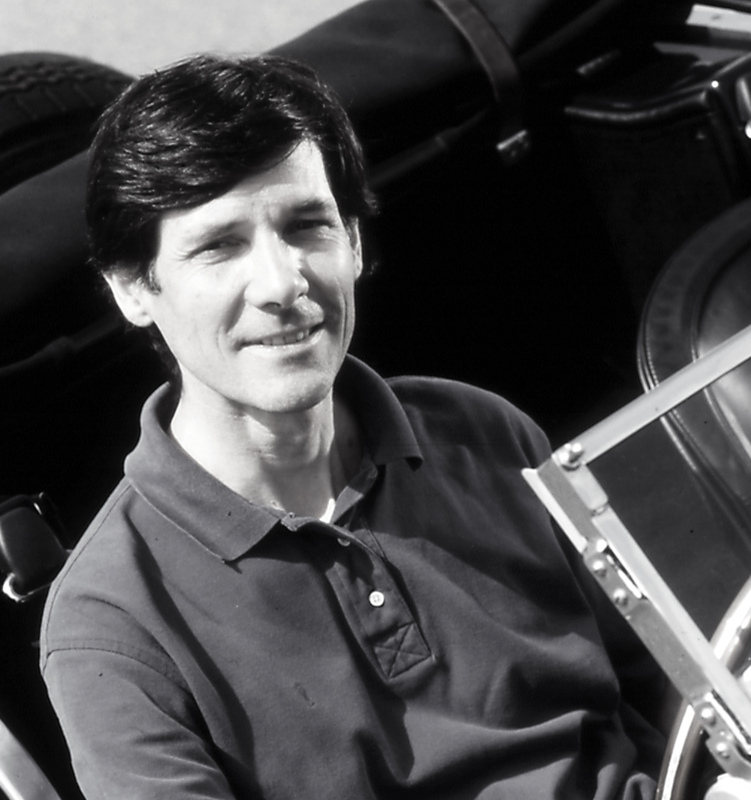 After different occupations in motorcycles, planes and cars, I became a manager of Carrosserie Lecoq in the 80’s. It was then a famous coachwork company, founded in the 60’s and the first in France to be involved in very high level classic car restorations. 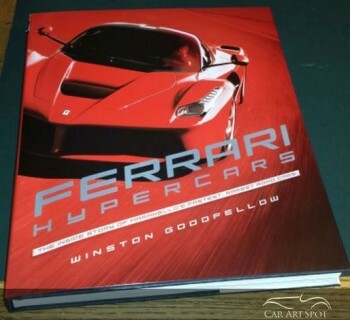 There I had the fortune to work on the most fabulous cars of automobile history. Our customers were the most important collectors and museums in Europe and we had the opportunity to rebuild cars such as one of the three Bugatti Atlantic and the invaluable Bugatti Royale Esders Roadster. True sculptures! At that time, I also realized one of my dreams; building my own sportscar. A narrow bridge has always existed in my studio between creating sophisticated machines, real cars, different scale models and pure sculpture. My first sculptures were bought by private collectors. 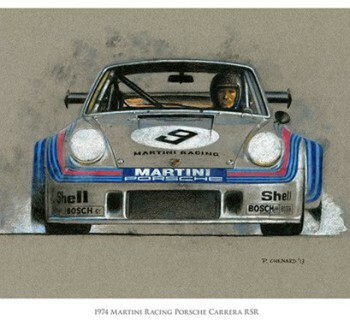 I was displaying them at classical motor shows and events, then permanently in art galleries in Paris, such as Galerie Vitesse and Galerie Marina de Bourbon on the Champs Elysees. 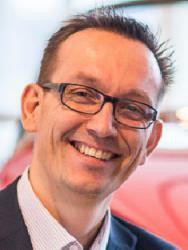 For years my work has been represented in many car publications and national newspapers and magazines. Major companies and international organizations began to order my sculptures and trophies and I was very proud to make them for the FIA (Federation International Automobile) World Championships and Formula One Grand Prix. Watching Michael Schumacher brandish my work with joy at the end of his races filled me with pride and pleasure. Equally so for my more modest trophies for historical races and rallies which are always connected to happy moments. Giving happiness is the most pleasant reward for an artist. During the years, some of my pieces have appeared in auction sales in prestigious places such as Christie’s in London, Artcurial in Paris, the Ferraris Museum in Maranello and the British National Motor Museum in Beaulieu. The arrival of internet, opened horizons worldwide and allowed me to offer my work and share my passion and emotions with collectors ordering from the USA, Australia, Russia, Asia, New Zealand and many other countries. I like to present my studio as a ‘Dream Factory’. Some people are able to resolve very complicated mathematical equations, while others are very efficient businessmen or have talents which I do not possess. Differences and sharing give wealth to humanity. With my hands and my experience, I have the luck to help people realize their dreams. 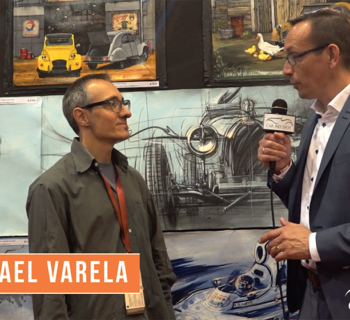 I am open to many projects and my curiosity and passion extend to automotives and the transportation world but also to other fields such as architecture and furniture. Whichever the field, I work with the same style, streamlined lines and a mix of artistic and mechanic past infuences which have driven me. It is of course, extremely interesting to create a real car from start to finish but pure sculpture has a special place in my activities. When you study and build a car, you have to adhere to many regulations which disturbs your creative freedom. With a pure sculpture, you are totally free. 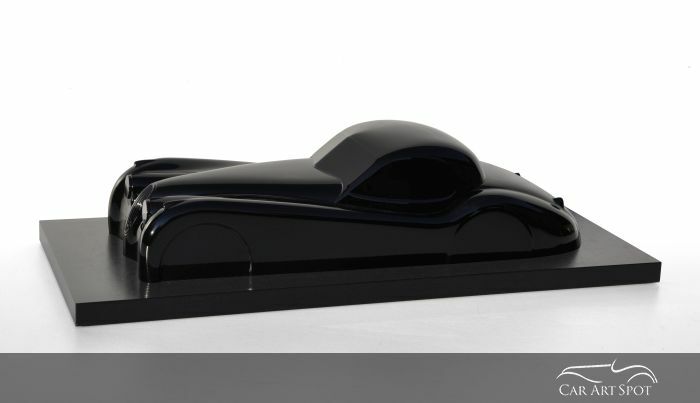 Some of my car sculptures are inspired by my own dreams. I call them simply ‘car studies’ or ‘mobile sculptures’ and they remain in that stage until I eventually find the opportunity to build them in full size. 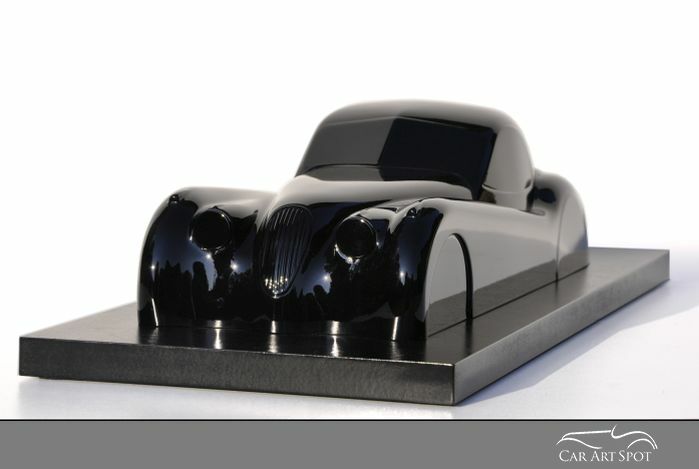 I would really love to drive my latest sculpture (the P38 Aero) in daily traffic. I just imagine the car; something of a plane with its’ narrow wheels and polished raw aluminium body with no plastics, as few electronics as possible, not by nostalgia but to try to give it a soul. If you compare a basic electronic watch costing around 30 or 40 euro to a mechanical luxury piece such as a Jaeger-Lecoultre costing a thousand times more, you will find that both give the exact time but the mechanical one is a wonderful craftsmanship masterpiecce, reflecting passion and human nature. Its’ mechanism may remind you of planets orbiting in the solar system. It has a real life which seems to go on forever. In my studio, I look at my sculptures and dream and take pleasure in thinking about all the collectors worldwide who are sharing my dream. 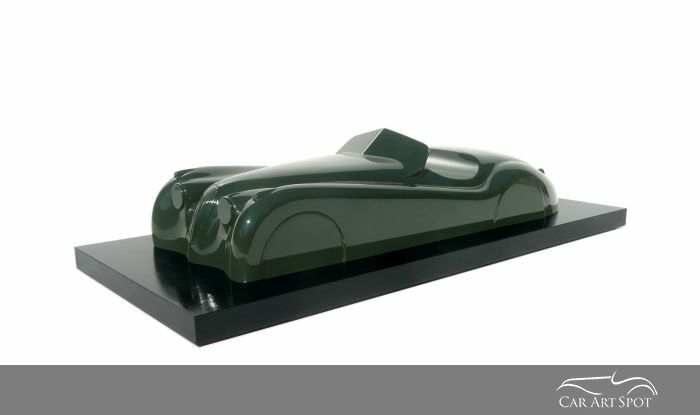 Other sculptures, such as my recent work on the XK Jaguar from the fifties, pay tribute to past masterpieces. My aim is to ‘distill’ the rough model and keep only the pure essence of the car and reflect the very first sketch done by the original designer on a simple sheet of paper. To do this, I try to become absorbed in the atmosphere of that period. Like an actor playing in a period movie. Reading or watching movies help, as does listening to the right music. Jazz, blues and rock were perfect to work on these Jaguar sculptures. I use only the traditional sculpture techniques. To obtain a bronze, aluminium or even modern resin sculpture, I need first to create a shape from wood, plaster, clay or any soft material. I obtain this first model, called ‘master’ by adding or removing matter. I may also work the same way as old wooden boat hulls are made; doing a shape with frame and rib bands covered by a thin skin and then shaping for hours before doing a mould. By using these old techniques which Romans and Greeks used thousands of years ago, you really feel the matter under your fingers and can work and refine curves until you reach your dreams. The result always has something very human, maybe by its’ imperfections which you never find in a ‘too perfect’ computerized creation. 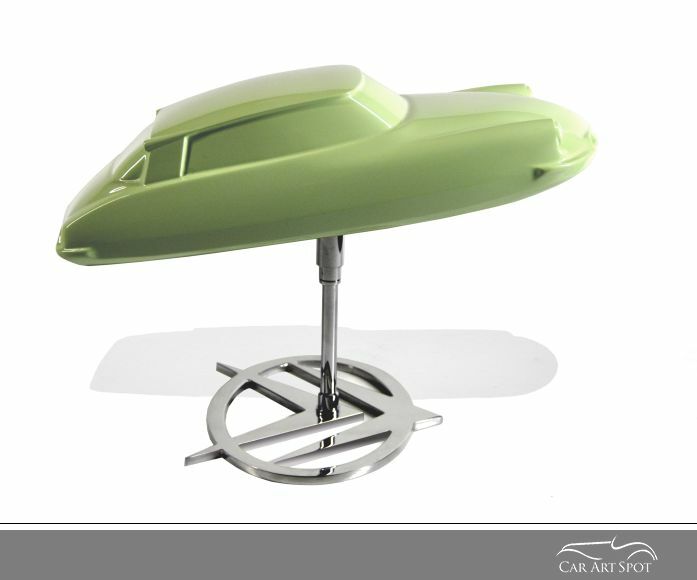 By circumstance, some sculptures inspired from the automotive or aeroplane world may be serious. Such as ‘Make Light, Not War’; my contribution to remind us of the essential role of art. That is ‘enlightenment wins over obscurantism’. 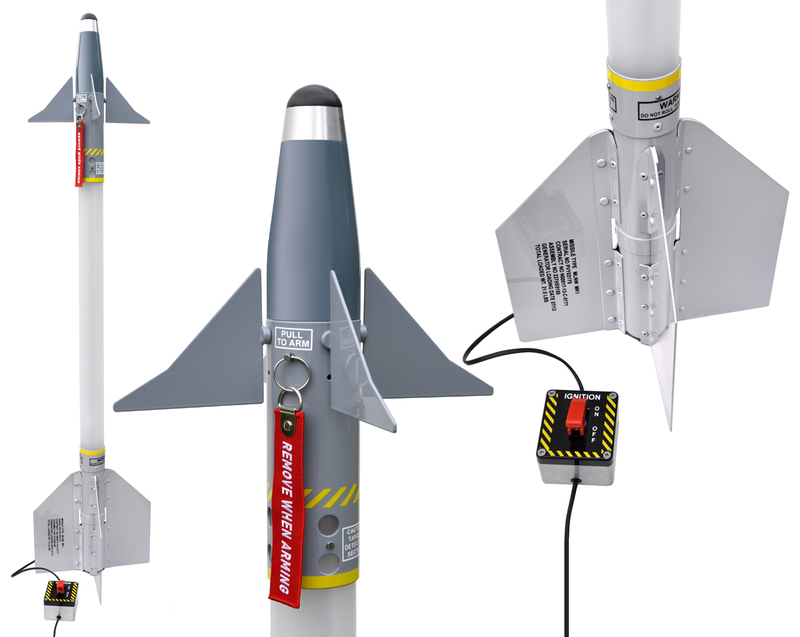 A concept art piece made from a missile, metamorphosed in a lamp. Serious for sure but colourful and optimistic. To see more of Benoit de Clercq's work, please visit his website.